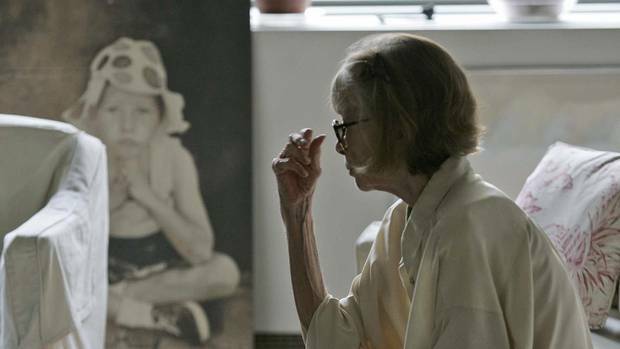 Author Joan Didion is shown near a painting of her daughter Quintana in her New York apartment in 2007. Joan Didion never ceases to amaze me with her brutal honesty, her curiosity and her colorful stories. I have loved all of the works by her from “Slouching Towards Bethlehem” to this “Blue Nights” book. While it was most popular in sales, the “Year of Magical Thinking” was my least favorite, there was something too fragile and too light about it. It was missing some of the barbs and earth that usually pepper her prose. Years ago she was interviewed by Tom Brokaw and admitted that writing is the only thing she does with aggression. “Blue Nights” is a reflection on motherhood and on her daughter’s death. I read it in two sittings. Brilliant and heart breaking. As I am learning in Buddhist terms all is sorrowful and in perfect rapture. I felt this as I was reading her book – though sorrowful and having experienced deep grief, she is still in perfect rapture – she is still following her bliss as a writer. The writing seems to be saving her from the depths. This echoes the sentiment in the commentary I wrote on my work chosen for the International Museum of Women – motherhood has these ebbs and flows: how you identify with your children, how you identify with yourself as a mother, and to your own mother. It’s a navigation like none other. Many artists have been shy to embrace the mother and child relationship head-on, many choose to deal with the relationship more obtusely. 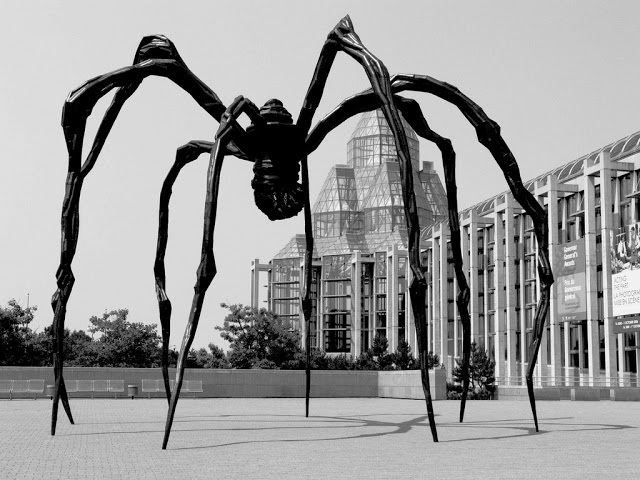 Think Louise Bourgeois’s giant spiders – an indirect homage to her mother who worked in weaving and textiles. While I like these poetic gestures, I so appreciate Didion’s directness in sharing her experiences with her daughter. It’s through this honest sharing that we learn. As Didion deals with the real life circumstances of losing a child before you die, she clearly reminds us that looking to your passion (eg. writing, music, biking, painting) in times of great sadness helps create meaning out of unfortunate and inexplicable events. So in the wake of any sadness, or the general blue tone of circumstances grab your pen, pencil, paint or hiking trail and make some light!